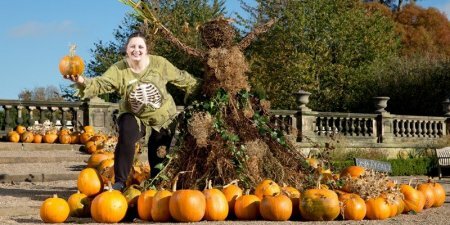 Get the whole family together this half-term to discover the name of Trentham’s very own Pumpkin King, then claim your reward from the expert chefs at the Italian Garden Tearooms. A haunting Halloween trail weaves through the stunning gardens that have an array of colours on display at this enchanting time of year. Creep through the Rivers of Grass, be brave enough to take on the mysteries of the maze and keep your eyes peeled for spooky surprises along the way! All you simply need to do is pick up a map from the Gardens Entrance or Gift Shop before embarking on your epic autumnal adventure. For more information on garden admission prices, click here. After your frighteningly fun walk through the gardens, you can enjoy a spot of shopping in the 77 timber lodges at the Shopping Village, or instead seek out some delicious food from the vast array of eateries on offer. Make sure to pay us a visit whilst you’re on site, at the Home and Garden centre, where you will find up to 25 of our beautiful buildings on display and a team of friendly experts on hand to advise you.